Great interview. A bit sad to realize it’s really the end of the crans. It just occurred to me, will it also the end for you guys as CranberriesWorld once the final album is released?! Of course this year has made it pretty difficult to keep up with the database work, but we’re definitely aiming at getting back to this actively, for her, for the band, for fans, and for us as well. It is our duty to keep the memory alive! Good interview. Thanks for sharing! 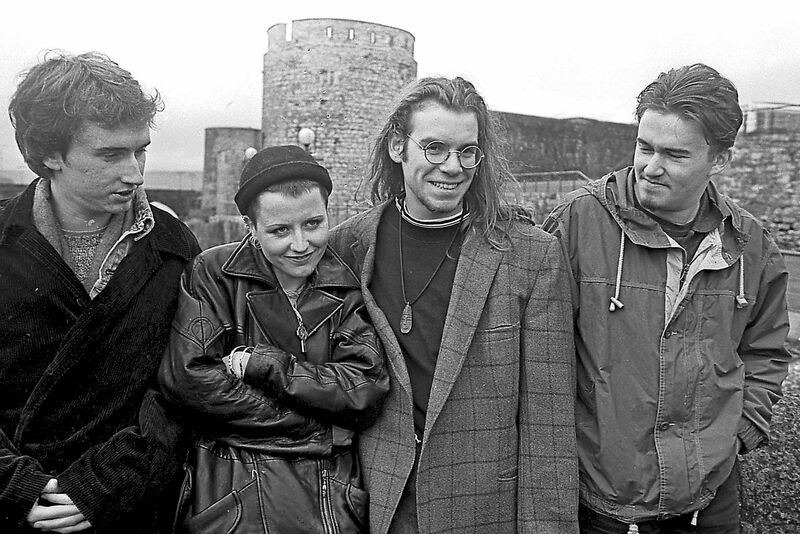 On another note: The nominees for the Rock and Roll Hall of Fame was announced this morning and unsurprisingly, there ‘s no Cranberries’ on the list. What did we get? Radiohead and Rage Against the Machine (Who’s guitarist, Tom Morello, sits on the HOF’s governing board!) being nominated AGAIN – just as they did last year?! I think I’m starting to see why more and more people view the HOF with derision. So we are to assume that there are no other 90s artists who are worthy for nomination. Shery Crow? The Smashing Pumpkins? Soundgarden, The Cranberries? it’s simply ridiculous and shows a lack of imagination to nominate the same two 90s band for two consecutive years. The only good thing going this year is that The Cure were nominated. I guess I was naïve to HOPE that The Cranberries would at least receive a nomination since they meet all of the HOF’s criteria (impact, influence and innovation – they claim). Even if not the point here, I totally agree. Maybe next year they’ll be nominated. Lets hope. Noel has emerged as the natural spokeperson for the group and has done it well. Amazing story that they could be apart for years at a time but still be musically synched when they re-unite. What a wonderful final gift “In The End” should be. A sad but special interview. I really appreciated what was said by Noel to the question “How Was it Work with Dolores in a Songwriting Capacity?”. Really a great humility. Fantastic Noel. Thank you very much. I doubt they’ll do it, but it would be a fitting send off if the three boys would get together and write and record one song dedicated to Dolores. I’d be interested in seeing how they express (musically) their thoughts on the journey they shared together.